This week I participated in a seminar presented by Make It Better for women returning to work. I had the opportunity of teaching women how to bring modern fashion to the workplace. The “Re: Work” workshop took place at the Chicago Botanic Garden on Wednesday October 14th. 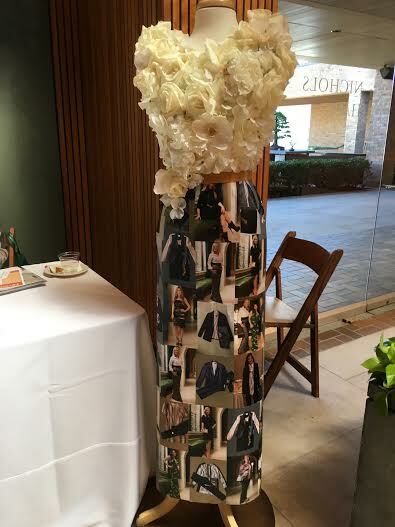 Vince Hart of Kehoe Designs made me a beautiful mannequin form decorated with flowers on the upper torso and a skirt made out of photos of women modeling “looks” I created at a previous Tracy Clifford Style event. It was really enjoyable being able to bring fashion and flowers to life at the Re: Work Seminar!